LADY Kitty Spencer has stunned in a new photoshoot for Marie Claire Italia but it's the necklace she has chosen to wear that has got everybody talking. The niece of Princess Diana wears the "Happy Leaves" by high end jeweller Bvlgari which features - you guessed it - marijuana leaves. Kitty, a Bvlgari ambassador, modelled the envelope-pushing necklace in two photos shared to her Instagram account in which the socialite declared she had the "best time shooting". Kitty's surprising choice of necklace didn't go unnoticed by her Instagram followers who were quick to point it out in the comments. "Di's niece adorned with marijuana leaf jewellery #fashiongoalz," one wrote, while another commented: "That marijuana necklace though!!!" 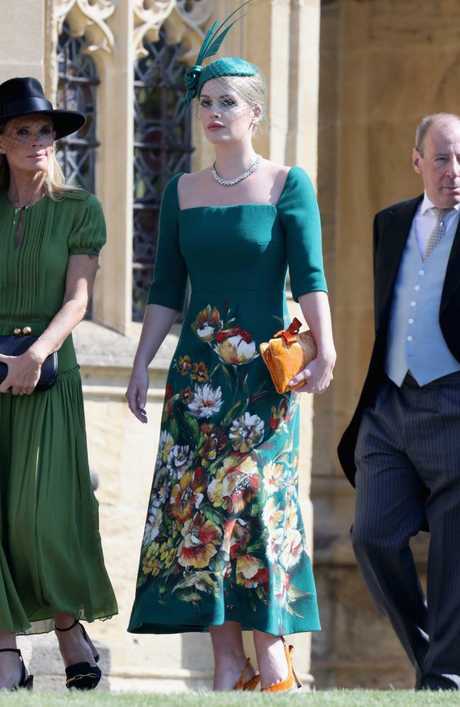 Kitty made global headlines in May thanks to her striking resemblance to Diana while attending her cousin Prince Harry's wedding to Meghan Markle at Windsor Castle. The daughter of the 9th Earl of Spencer and Diana's brother Charles made her debut modelling for Dolce & Gabbana in 2017. "I was so young [when Diana was alive]. There are only a few memories, but special memories and happy memories, and I'm so lucky to have those," Kitty told Vanity Fair in 2016.